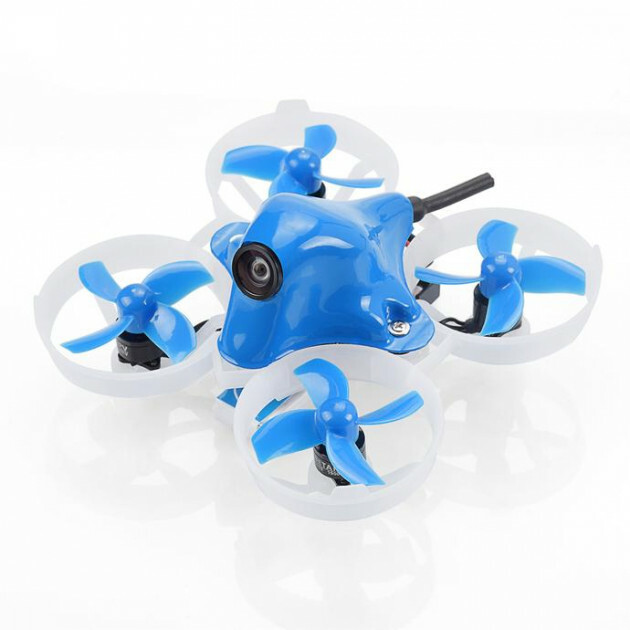 It is a miniature racing copter designed primarily for efficient flying in very small spaces. Brushless motors, combined with a weight of about 30 grams, provide enough power for "sharp" flying in flats, halls or mild winds even in the most confined spaces. The Beta65 Pro will be great for beginners for easy-to-use acro training at the comfort of home, as well as experienced pilots. The modern F4 controller with an integrated 5A controller offers coplete usage of DShot commands, such as "Turtle Mode" for tipping over the Whoop into the flight position using the transmitter levers. Components are very well protected by a small plastic hood. The antenna is positioned along the lines of modern trends parallel to the frame, so there are no shocks being transferred to the VTX or the antenna itself. The tiny but extremely efficient copter provides a huge portion of fun for professional pilots and complete beginners alike.